Let me say from the start how sorry I am to have kept you without a word from Deborah and myself for so many months. We have had our minds so totally focused on caring for Edith Schaeffer and the teaching obligations at Nyack College that little time was left to stay in touch. Daily phone calls, worries and an urgent trip home for Deborah when her mother was vomiting blood just as the helper needed surgery herself made life very hectic. Let me add also, that Deborah does not want to be addressed as Debbie with that spelling, as it identifies a 1950s “Hostess Cake” rather than her parents’ choice of a name. Thank you. Edith Schaeffer died on March 30th, during the night between Holy Friday and Holy Saturday, when many around the world are reminded of the cruel reality of death but also anticipate the resurrection, which made her, and makes us, wait for the return of Jesus Christ to deliver us from death. She died in her own home in Gryon, where she had lived for the past 13 years, right across the street from us, dressed in a new Ralph Lauren nightgown from Macy’s in NY, in clean sheets and in her own bed (as she had wished all her life). She had shared our life, our family and our work in the Francis Schaeffer Foundation in Gryon. We were able to give her a rich life with no help other than from a number of people we were able to hire from among our acquaintances for periods of time. Many knew her very little to start with, but then learned from Deborah how to provide the physical care and intellectual stimulation we all need. Often they became quite attached to her, even as she grew more dependent on the necessary, detailed and increasingly complicated daily care, organized by Deborah. We are happy to have been able to keep her at home until the end of her life, rather than being forced to put her into a Senior Facility. She was surrounded with her own things, her music, and her familiar views out the window and along the lake, her son Frank’s paintings and the things we did together: walks along the quay in Vevey, attending concerts in nearby churches, seeing a film and going for tea or dinner occasionally. They were part of the continuity of a rich life of ideas, people and things. They also gave the security of the familiar when the mind seeks and needs such anchors at a time when we have slower recalls and experience less security. Edith Schaeffer had carefully laid out her wishes for her funeral and described them to Frank, when her son asked her about it more than eight years ago. Following her wishes, there were two funerals, one in the village church of Gryon, Switzerland, on April 19th, the other a few days later in Minnesota on April 25. She had requested that both of them would be conducted by me, her pastor of many years. She never fully joined another church, even after she left Switzerland to live in Rochester MN just prior to her husband’s death there in 1984. She always maintained that her church was the one her husband began in Champery in the early 50s and of which I was associate pastor since 1972. For the past 13 years she attended church wherever I preached, received communion, and listened to the services of Madison Avenue Presbyterian church, which is the church we attend when we are in New York. The service in 800 year-old Gryon was held in both English and French. About 350 to 400 people came to honor her, to remember her life, her confidence in God, and her expectation of a continuing life on earth after the time she would be with Jesus, waiting for the resurrection of her body. Family, especially our own five children and nine grandchildren, Frank Schaeffer and Jessica, and Prisca’s family in Switzerland, some of the family in England, and neighbors from the village as well as many of our personal friends from as far as Italy, England, Turkey and the US came. As people arrived, the music of Vladimir Horrowitz playing Schuman, and Christopher Parkening playing Bach on the guitar, welcomed them. We had made it a habit to play this music every morning as part of a pattern to start the day. Only on Sunday we marked the day as special by playing Handel’s Messiah and also the oratorio Elijah. Our brother-in-law John Sandri, his daughter Rebecca Miller and grand-daughter Kimberley Walthi played a Corelli Trio after the first section of the service. Bach’s Motet BWV 226, as well as Bach’s Cantata Nr. 4 (BWV 4) separated the second from the third part of the service. A mockery is become of death. Hallelujah! swimming still at 92 in Portofino, where we had taken her to enjoy once again a beautiful corner of her beloved Italy. A second funeral service was held at 1st Covenant Church in St. Paul, Minnesota on April 25, before the actual burial with a short graveside service in Oakwood Cemetery in Rochester, next to her husband. We moved the service, as venues in Rochester were too small for the many people who planned to attend. This second service presented more musicians and their generous and beautiful contributions. Deborah and I had met the two opera singers two weeks before in New York during two free concerts on the same Sunday afternoon. Lauren Eberwein is a young student at the Curtis Institute in Philadelphia. We heard Joe Chappel sing the Bass arias in Bach’s Cantata nr. 4 in the Trinity Lutheran Church off Central Park. Deborah had approached each of them separately with the question whether they would ever sing elsewhere, telling them of the planned funeral in Minnesota. Much to our great surprise and overwhelming delight they both agreed to come and bring their musical skills to honor Edith Schaeffer and to enrich us all with their voices and personalities. First, Mezzo-Soprano Lauren Eberwein sang from Mozart’s “Nozze di Figaro” the aria Voi che sapete... to express a joy over life itself. That was an appropriate affirmation of how Edith Schaeffer understood life to be lived, to be enjoyed with thankfulness, in affirmation of the Biblical understanding that the physical creation of earth was prepared for human life in the body. It is here where we rightly express our humanity, our sensual pleasure in beauty, our work and ideas, our physical and spiritual life. This is home to the human being, disturbed now by the fall and its effects, but never less than home to our bodies, thoughts and creativity. On earth, in time and space, by means of mind and body we live before God and each other, work and have babies, write and think and give thanks for the reality God intended. In recognition of this Biblical proposition I laid out the first part of my presentation to honor Edith Rachel Merritt Seville Schaeffer with what I called Memories of a rich and generous Life which stretched from her childhood in China and the US, to her married life in three parishes in the US, her life and work in Europe and to the chapters she added after her husband’s death in 1984. They consisted of writing, speaking and arranging concerts, her generous gifts of time, a listening ear and prayerful concern for people who benefitted from her open home and artistic hospitality. Through it all Edith Schaeffer expressed that material things created by God and Man, physical time and space, reasonable ideas and creative gifts, applied to every area of life, are part of what God made people to enjoy, benefit from and reclaim in often difficult situations. The first of three parts of the service was the description of what really was an Extraordinary Life! I will here give a few points I wanted to highlight. Edith Schaeffer marked her life with the expression of rich ideas, being often rebellious against the staid and superficial life and routines she saw among Christians. The oldest sister became a communist in New York of the 30ies, the second eloped, before both, later in life, came back to believe in Christ and the truth of Christianity. 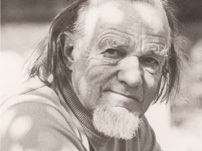 Edith Seville married Francis August Schaeffer in 1935 and in no way was she the typical pastor’s or missionary wife. She turned her active mind to work with her husband, teaching seminary wives to think and to question, to create and make of life something of integrity, as her husband encouraged her to do. To finance their early years and to put her husband through seminary she tailored men’s suits, made ball room gowns and wedding dresses. She made belts sold in New York stores. With very little money she prepared tasteful and varied meals and painted a fresco on the ceiling of the vestibule in the little church her husband pastored in Grove City, while he attached a steeple to it with the elders’ help. They worked very closely together in each of the three parishes they occupied among people from many backgrounds and educational proficiency. It always included a large work with children of the community. She lived her life as a work of art, an exhibition of true significance as a generous, stunning and creative personality. She always sought ways to draw on life’s opportunities to show that human beings are made for the enrichment of everyone’s life, for the encouragement of people and for honoring the creator with pleasure found in created things. Her efforts to find, create and expand left-over beauty in a fallen world are a central part of the work she and her husband engaged in from the very start of their life together. They had come to Europe and settled in Switzerland with her family in 1948. Together they traveled from Finland to Portugal to help churches by teaching pastors and parents overcome both their post-war discouragement and doubt, and the inroads of Karl Barth’s existentialist theology which was destroying the confidence in the truthfulness and accuracy of God’s word, the Bible. For years they welcomed anyone with questions about life and truth, first into their hospitable home for discussions, lectures and study of historic Christianity, and later into what then became a cluster of homes, which became a shelter for many seeking honest answers to their questions about all of life. She left the work of L’Abri after her husband’s death in 1984, and lived in Rochester, MN, where he is buried. There she started the Francis A Schaeffer Foundation with Udo and Deborah Middelmann and others to safeguard his papersand to continue to work with the ideas that underlined their life, to make them available for a wider audience. Edith Schaeffer added whole new chapters to her life. She continued to write books (there are 17 in all), lectured widely and returned twice to her place of birth in China. She investigated the making the Baby Grand Piano she had received as a gift at the Steinway factory in New York and presented “Forever Music” in a concert at Alice Tully Hall in New York with the Guarneri Quartet. She came to know musicians like Rostropovich, the pianists Horowitz and Rudolph Serkin, the Cellist YoYo Ma, and Jahja Ling, and also the guitarist Christopher Parkening and organized concerts and elaborate receptions for musicians and friends in her home. Once on vacations with us on Elba in her late 80s the saxophonist Sonny Rollins noticed her beauty and rhythm as she danced to his music, came off the stage and danced with her. All this is an expression of her basic understanding of life’s purpose. She did not see age as a reminder to slow down, or physical problems as signs from God to seek spiritual rest. Even when stones and sand on the beach made walking more difficult she still enjoyed four more visits to Italy: in Sienna with us one year and in a hotel on Elba, once with a grandchild and once with us. We took her to Portofino once more and went swimming with her at 92 in her beloved Mediterranean Sea. Faithful to her and our response to Moses’ admonition to “choose life therefore”, we took her in her wheel chair to enjoy frequent Sunday concerts in churches nearby until last autumn. Just four months before her death men carried her in a wheelchair to the second floor of a movie theater to watch the latest Woody Allen film. We kept her mind alert with conversation and books on tapes, and she laughed at familiar scenes in books we read out loud to her; she danced until quite recently in her living room to the music of Ella Fitzgerald, Louis Armstrong and Frank Sinatra, played her instruments from the Met in NY, or caught and threw a ball. At night, wide awake and comfortably settled, she watched BBC Four TV for its concerts, its programs on history, geography and life on the British Isles among different social classes, humorous programs and scandalous revelations. Every day familiar surroundings like her son’s paintings, her furniture, linen curtains, her Steinway Baby Grand Piano and the view of mountains and roofs out the open windows, her books and her music, played at full volume, gave her orientation and security. She loved light, the curtains wide open, familiar dishes and colorful and fashionable clothes she continued to wear with perfume on her body and properly dressed every day. She clung to life as a gift from God and always took a lively interest in conversations with our students and guests in Gryon, and with our children and grandchildren. In her hope and expectation she waited for Christ to return, rather than to die, so that, as the Bible promises, she and our generation would be part of those who do not have to face and experience the horror of death. The night before Edith Schaeffer died in her sleep, the night between Good Friday and Holy Saturday, she had received the Easter flowers we had sent, I had talked with her about the hope of the resurrection and reminded her of the Good News that God made us to live eternally. That night she “slipped into the nearer presence of Jesus”, her Lord, from whom she awaits the promised resurrection to continue her life on earth and to love, talk and dance once again with a body then restored to wholeness. In the second part of the sermon I introduced everyone to Edith Schaeffer’s wider view of God’s world, containing not only what is now visible. She had expressed it well in an article for Christianity Today (Sept. 24, 1976) when she used the experience of discovering a whole other part of God’s world under the surface of the ocean by means of a mask and snorkel. In her view, the Bible is such a mask which tells us of the usually invisible world not being elsewhere, but right there under the surface! There is a further part to God’s creation, which is not another place called heaven, but part of the same universe revealed in Scripture. She then decided to take the plunge, having decided that the designer of the mask had prepared to open up wonders she could never see otherwise. One moment all she had seen was the blue undisturbed surface water as far as the eye could see. But now a whole new world opened up, as different from the world above the water as anything one could imagine. Suddenly it was impossible to think of anything but the awesome marvel of purple fanlike plants, gently waving as in a breeze, light lavender plants with brown markings, beige lace leaves and frosty-mauve “pine trees”. Coral that looked like antelope antlers was alive with fish, deftly swimming in curves with all the grace of swooping birds through branches at twilight. The variety of striped and spotted and divers-shaped fish was almost too exciting to stand. The ledges and sudden caverns had to be seen to be believed. Amazing fish of all sizes and colors and shapes: Red and orange to bright yellow, green, blue, gray and purple were obviously leading busy lives. This scene had been going on before anyone suddenly sees it. One’s observation, discovery and understanding did not make it materialize. With such a mask we come to find out the truth about what exists under the surface of the Atlantic Ocean, when we finally stop arguing about the reliability of the air masks and make the discovery of what we now see as an additional part of the one and the same universe. The Bible, God’s word, is our “breathing mask and snorkel”. Through it we see His creation in the past, learn about the terrible break caused at the fall of Adam and Eve, and find also what we need for the present daily life in exciting real glimpses of what He means us to have now, moment by moment. We thank God for the provision of a ‘mask’ by the Creator of all things, God Himself, for every immediate moment. With its help we observe increasing terror and violence, tragedy and evil around us as true evil and not as natural or historically or socially inevitable. But we see also what otherwise could not be seen in the comfort from God, our Heavenly Father, who has given us his word. The Bible is like a snorkel and mask to discover things in whichever area it speaks, which we could not discover if we always remained on the surface of the water. We can trust God’s word and look with eager expectation for the heavenly city described in Revelation 21 and 22. We are meant to ‘see’ through God’s word. With God’s word we do not have the wrong equipment, but can look with some measure of understanding at the wonders and troubles of the past, the present and the future history. The mask brings comfort and confidence in, and expectation of, God’s future work. With that mask it will become clear that death and any form or manifestation of evil is not part of God’s will or doing, that a human person was not meant to die and loose her body, but will live forever, at some time reunited as a resurrected, physical person. This section of the service was followed by the same musical pause we had in Gryon with Bach’s Cantata Nr. 4, before I spoke of the source of all explanation, comfort and hope in Scripture. That hope is not a place called heaven, but the coming resurrection, of which Jesus was the first-fruit, the Lord of Life (1st Cor 15:20; Col 1:18; Rom 8:29). Redemption concerns the whole person, not just his soul. Edith Schaeffer did not despise the created world of things and people, of food and music, of beauty and effort, because she did not believe that heaven is our goal. She did not see herself on a spiritual journey to somewhere else, less material or temporal or intelligent. Her expectation was that the same enjoyment she has had during her long life with people, things, places and ideas, made and ordered by God, will continue when Christ returns to earth to reign in righteousness and perfection. She was not longing to abandon life and get to heaven, to be reduced to a soul. Instead she longed to be freed from the brokenness of a body and mind, of a severely damaged world around her, from the tragic interruptions of a creative life and such sorrows which Christ also knew. She prayed with trust in God as a heavenly father to lead, comfort and encourage her and others in the present life, so that in the coming reign of Christ on earth her work would follow after, and be standing. This confidence is given us from the Bible’s explanations. It is a book that opens up, like a mask for snorkeling, a coherent understanding of a wider universe. It presents the loving creator who made people differently from all nature, and now passionately desires to restore us into His family, as well as our lives and bodies into what human beings were created to be forever. According to the Bible, people are never alone and not emerging, then disappearing in the natural world. We are loved by God, wanted as people and made for eternal physical life, which God will repair by the power of his spirit (Rom 8:11) just as He raised Christ from the dead (Rom 6:4), when death is finally swallowed up subsequent to the victory of Jesus Christ for our renewed personal and physical existence. God’s existence alone can provide the “mask” to explain why there are things and also people, unlike everything around us. It tells us about our place and purpose in this world, of human work and accomplishment and the rightful use of minds and hands, of the need to oppose wrong, ugliness and death itself, and to enjoy life in all its good dimensions. Love, work and effort, creativity, imagination, justice in private and public life, exploration and every artistic expression are mandated to continue forever and are rewarded. By contrast, death, hate and injustice are severely condemned and rejected. For that reason prophets spoke to correct error and wrong in Israel and to address genuine hope of God’s grace, love and power to restore a broken world in the future. To counter the evidence of the present rule of death, God’s word tells us that life continues after death in the same reality of one universe in the presence of God, where the living wait for the resurrection of their body and Christ’s reign on earth. Paul clearly has this in mind when he talks against the Corinthian spiritualists in chapter 15. They emphasized repeatedly the spiritual as more important. Instead, he strongly reasons that unless there is a real resurrection we have no hope, and life is meaningless. Rather than a spiritual place like heaven, Paul speaks of “being with the Lord” (1st Thess 4:17; Phil 1:23; 1st Cor 13:12 and 15:49). That is confirmed by the saints, who ask: "How long, Sovereign Lord, holy and true, until you judge the inhabitants of the earth and avenge our blood?"? (Rev 6:10). There is a time outstanding, a history to be healed, and a fractured world to be repaired. Our comfort lies then not in a death for everyone, or an inevitable history; nor in the fact that after 98 years and 5 months Edith Schaeffer had had a long life and was now ready to die. There is in fact no right time to die, when each unique person has woven close relationships, sharpened skills and desires a genuine future consequence of their present life. Jesus tells us of a purposeful creation, established with care for details and beauty, but now sadly cracked and wounded. He offers no resigned acceptance of sickness, old age and death as human destiny, but demonstrates moral outrage at these when we heals the sick, argues against false religions and the rules that hinder people from believing what God tells us in the Bible. Jesus Christ is furious at the death of Lazarus and drives out evil spirits and sickness. There is no fatalism in God’s word and no resignation in Jesus life, but confidence in the continuing work of God to save and redeem people and his creation. Edith Schaeffer did not wait to go “home to be with the Lord” somewhere else, her soul without her body. Instead she understood from Scripture that God had created a real universe of material life and thinking people, which should have continued forever without the interruption that death always presents. She was not waiting for a voyage to heaven, but for the redemption through God’s work to be full. I realize that language referring to believers having “found their rest”, “being at home with the Lord”, “in a better place”, “being in heaven”, seeks to give comfort from both the burden of old age and illness, from suffering and war, from hardships in the present life. It is however, not descriptive of what the Bible teaches. The ideas contained in such terms are strongly influenced by Greek Gnostic thinking, by romantic spirituality and by theologies that deny the physical return of Christ to reign on earth forever. In their case death is a relief, but it should never be seen as liberation into what is then less than genuinely human, eternal, spiritual existence according to the Bible. Sadly, this view is increasingly embraced. Along those lines of thought and teaching, the proper understanding and right appreciation of the materiality of creation is neglected or even denied. Gained is a notion of spirituality that demeans what God made, creating a disregard for the material things of creation, for facts in the real world, for material justice in response to human and natural evil, for nature as God’s creation, and for the real tragedy of the human condition and the need to address it. When creation is diluted by another, immaterial existence where souls in heaven are “in a better place”, the whole thrust of God as creator of a material world is weakened, made only temporary and then to melt away into insignificance. The Bible begins with Genesis, the declaration that God wanted a real world to exist forever in beauty and justice. He labored for its details and prepared it for human habitation, enjoyment and creativity. He made bodies for work and love, gave colors and shapes, time and space, physicality and language, and addressed our minds to be useful, enterprising, moral and committed. On what basis is all this assumed to be unimportant, negligible and only temporary? Is all this not to be missed in eternity? Can sin destroy it and so alter God’s intention that only the life of the soul shall matter from then on out? In fact, Edith Schaeffer did not “go home”. For the past 13 years her home was in Gryon. She is no longer there, but with the Lord, where she is waiting for the resurrection of her body. Just as Christ is waiting for His return to His world to reign over it as Savior (Phil 3:20; Acts 5:30), Judge (2nd Cor 5:10; Acts 10: 40-42) and Lord (Phil 2:9ff), so also are His people waiting for death to be undone, for new bodies and a restored creation, in which lion and lamb can again lie down together. Then, and only then, will God’s redemption have been accomplished. Before the Benediction, Lauren Eberwein sang the aria from from Henry Purcell’s Dido and Aeneas with its fitting words “When I am laid in earth,remember me, but ah! Forget my fate”. Yes, God will remember each of us and do away with our seemingly eternal fate: death! J. S. Bach’s Toccata and Fugue on the organ followed before Bach’s Easter Oratorio (BWV 249) sounded to the end of the service. e.g., Rom 1:11; 7:14; 1 Cor 2:13,15; 3:1;14:37; Gal 6:1). In closing, Aston, a pastor in Zimbabwe, friend and colleague, wrote to us when he heard of Edith Schaeffer’s death. His words are a wonderful gift to us, which comforted us greatly. As war and strife, corruption and exploitation, callous indifference to human suffering and neglect of children surround us on all sides, it is so startling to receive this from his own severely wounded country. “I love you so much, I miss you. Greetings in the Lord Jesus Christ. I understand what you are going through this point of time due to the life journey of such a hero in Christ. I have been reading the history of this hero, so touching service for the Lord. The Lord will reward her accordingly (1 Peter 5:4), a golden promise of the crown of glory that will never fades away. She is one of the recipients. Edith Rachel Merritt Seville Schaeffer, may her soul rest in the Lord. Your tears, be tears of joy, for she ran well. She fought a good fight as Apostle Paul puts it. As believers of Christ listen therefore, to the following words through the epistle of Paul to the Corinthians; "Now if Christ is proclaimed as raised from the dead, how can some of you say there is no resurrection of the dead? If there is no resurrection of the dead, then Christ has not been raised; and if Christ has not been raised, then our proclamation has been in vain and your faith has been in vain. We are even found to be misrepresenting God, because we testified of God that He raised Christ-whom He did not raise if it is true that the dead are not raised. For if the dead are not raised, then Christ has not been raised. If Christ has not been raised, your faith is futile and you are still in your sins. Then those also who have died in Christ have perished. If for this life only we have hoped in Christ, we are of all people most to be pitied. BUT in fact Christ has been raised from the dead, the first fruits of those who have died. For since death came through a human being, the resurrection of the dead has also come through a human being; for as all die in Adam, so all will be made alive in Christ. But each in his own order: Christ the first fruits, then at his coming those who belong to Christ. Then comes the end, when he hands over the kingdom to God the Father, after he has destroyed every ruler and every authority and power. For he must reign until he has put all his enemies under his feet. The last enemy to be destroyed is death. For "God has put all things in subjection under his feet." But when it says, "All things are put in subjection," it is plain that this does not include the one who put all things in subjection under him. When all things are subjected to him, then the Son himself will also be subjected to the one who put all things in subjection under him, so that God may be All in All." 1 Cor. 15:12-28. Foundation in memory of Edith Schaeffer. We are deeply grateful for your support.